A collection of videos sharing tips to help you get started in your online piano lessons. You'll learn how to connect your MIDI keyboard to your computer or iPad, how to sit correctly at the piano and more. This video explains step by step how to connect a MIDI piano keyboard to a computer or iPad using cables (wired connection). You'll also learn about the different kinds of cables and adapters you can use. Getting connected is a basic but important step on your path to beginning your piano lessons with Musiah. 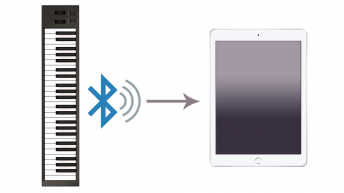 In this video, you'll learn how to easily make a Bluetooth (wireless) connection between a MIDI piano keyboard and an iPad. By the time you have watched this video, you'll know exactly what to do and will be able to use your MIDI keyboard with Musiah A.I. 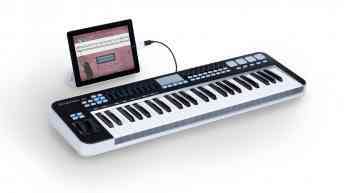 piano lessons or indeed any MIDI application. 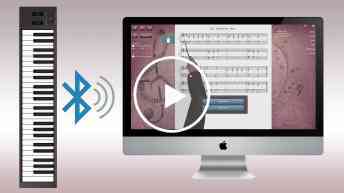 In this video, you'll learn how to make a Bluetooth (wireless) connection between your MIDI piano keyboard and a Mac computer – perfect for use with Musiah A.I. piano lessons or indeed any MIDI application. By watching this video, you'll learn exactly what to do to make this kind of connection. This video explains how to sit correctly during your piano lessons and when you are practicing piano. Good posture will help you learn better, play better, and is great for your health.